The idea of God becoming man is absolutely mind-blowing. It’s difficult to wrap your head around! The Logos became incarnate “for us men and for our salvation.” The Incarnation of God transcends any earthly concept of change that we have. A common theme in von Hildebrand’s writings is the transformation effected in Christ. He says that our hearts are transformed in loving God above all things and loving all things in God. Christ comes to restore our approach to love. He fulfilled the ordo amoris or the “order dictated by love” by teaching us that natural goods endowed with high value call for a response by teaching us to love all things in their proper place. This is a call to love everything as God loves. In the wonder of the Incarnation, we're taught to change the way we view the universe. He showed us how to see in all things a reflection of God’s own infinite beauty. Those who encounter Christ do not leave unchanged. Just as when He walked the earth, so now, those who follow Christ have been moved at their core. Countless witnesses of the events of His life were transformed. We can examine the ones present at the Nativity and their motivation for coming to do Him homage. In the Nativity story, the Shepherds and Wisemen are a prime example of true value response. Value response is not based on the observations of empirical facts. It is not the “what is” but “what ought to be” or what is “worthy" to be. Von Hildebrand describes value-response as being “enraptured by a high and noble affectivity” (125). Mary, Joseph, the wise men and the shepherds gave the adequate response to Jesus. 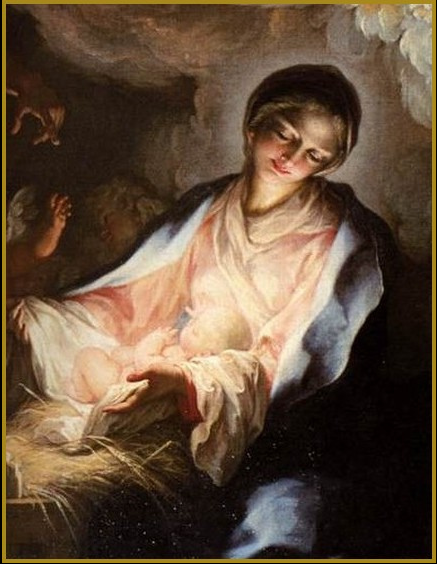 They knew this birth of the Messiah was a valid moment which demanded their full reverence. They were called to respond to Christ with the gift of their very selves. As witnesses of Christ’s Nativity, they were privileged to a significant moment of encounter, a moment of transcendence. When man responds to what is truly important, he goes beyond himself. In going beyond himself, he is transformed. This is exactly what took place in Bethlehem that holy night. In the gift of His grace, God perfects us and brings us to a new level of existence. In giving him a proper response, the prominent figures at the Nativity did not leave unchanged. They worshipped the Christ Child. They responded to this, the Son of God, who is worthy to be praised. Today, we approach the manger 2000 years later with the same motivation. “Let us realize how life, nay the entire world, becomes more meaningful, more beautiful, more glorious” in Christ’s Incarnation” (126). The Word became flesh. Indeed we have seen His glory. And we are transformed.